A mod for the tired pack-rats out there. 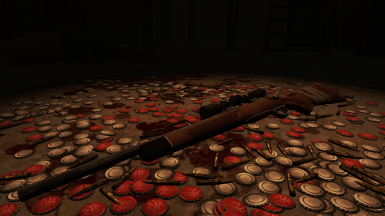 Rewards an adjustable amount of caps for every kill and provides optional automatic looting of most non-equippable items from killed enemies, as they're killed. Something something auto loot, something something power. Are you tired? 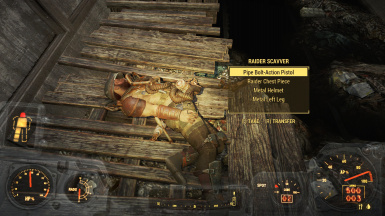 Tired of looting, tired of salvaging, tired of being an all around pack rat? No? Then this is not the mod for you. 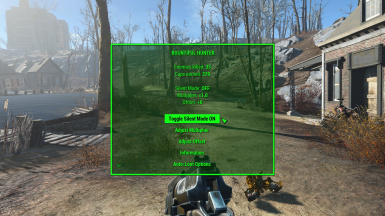 This is a small mod with a few features. 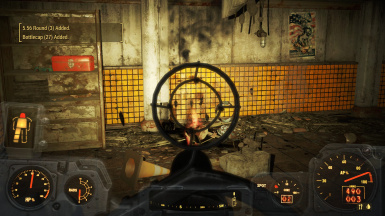 Upon killing an enemy, an amount of caps based on their level and max health will be awarded to the player, and any carried caps, pre-war money and bobby pins will automatically be looted (as well as ammo, chems, drinks. explosives, food, junk, materials, meat and water if those options are enabled). On top of that, each kill has a small chance of rewarding the player with small material shipments. As of v1.2, viable blood samples and tissue samples will automatically be looted. 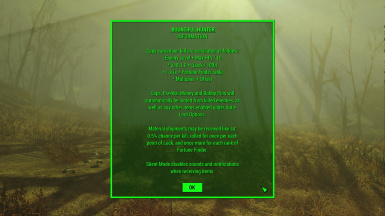 The mod will initialise when first loaded for existing characters, or shortly after a new character first gains experience. (Enemy Level + Max HP) / 10 x (0.8-1.0 + Luck / 100) + 1-x* x Multiplier + Offset** ...So simple! * x = the player's current rank of Fortune Finder. ** Customisation options. See [Bountiful Hunter] for details. 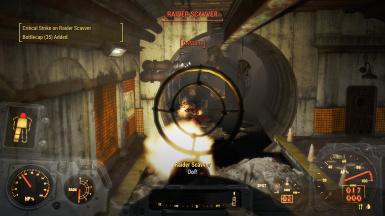 Example: a level 10 enemy with 100 health will reward the player with ~11 caps when killed, plus any caps, pre-war money and bobby pins they're carrying. Note: Setting the multiplier and offset to 0 effectively disables this feature. 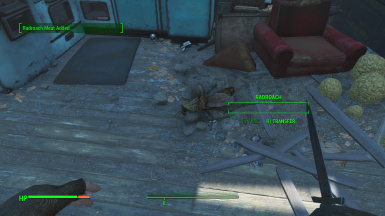 Every kill has a 0.5% chance to award small material shipments to the player. This is rolled for once for every point of Luck and once for each rank of Fortune Finder. Example: a player with 10 Luck and Fortune Finder 4 will roll 0.5% 14 times each time an enemy is killed. 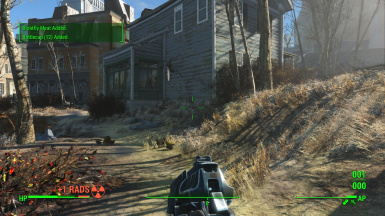 An afterthought which adds the optional auto-looting of items from killed enemies, if enabled. Go on a killing spree and let the items roll in. This is an aid item that will be added to the player's inventory when the mod is loaded, or when a new character first gains experience. It can also be crafted under the Utility tree at a Chem Station, for those who lose or "lose" theirs. A) Silent Mode. Disables sounds and notifications when receiving items. Because holy kill feed, Batman. B) Adjust Multiplier. Allows the player to set a multiplier for the number of caps received from kills. For that personal touch. C) Adjust Offset. Allows the player to set a flat amount to be added to the number of caps received from kills. For that extra personal touch. D) Information. Provides some in-game explanations of how things work. So convenient! This mod likes to keep to itself. Conflicts are unlikely, but I can't guarantee it'll play nicely with other mods running OnKill scripts. Note: Items added by mods won't be auto-looted, but adding them is as simple as adding the item to the appropriate Min_List_x form lists. Use the mod manager of your choice, or drag/drop the archived files into your data folder then enable in-game. Delete the files to uninstall. Same old. This is something I made for myself, to make replaying the game less tedious. I shared it because I'm a giver. XB1 version is go. PS4 version is not. Who'da thunk it. There's a delay before the script actually "fires." This is an issue with OnKill scripts, not the mod itself. B£th£$da pls. 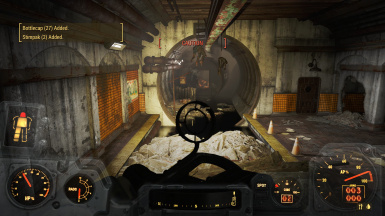 VATS-heavy gameplay may cause the game to crash, which seems to be an issue with stuff going on in the background while VATS is active. 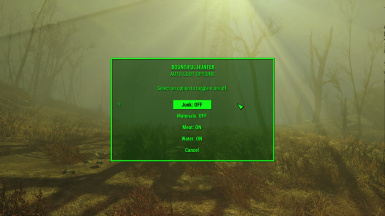 Playing with the mod on Silent Mode may help to alleviate this, and it shouldn't be as bad as of v1.1. It should also be noted that Survival Mode can cause similar crashes. Auto-loot options for ammo, chems and raw meat. Auto-loot options for drinks, explosives, food, junk, materials and water. Looping function added to menus. Attempting to reduce Offset/Multiplier below 0 now sets it to 0. Lists updated with some missing items.